The Hansen Trust has been established, in perpetuity, to transform the teaching of History at the University of Melbourne. It aims to develop and instil a passion for History within students and the broader community, to deepen student engagement with their learning, to emphasise the importance of this field of study, and to support a range of initiatives in the Faculty of Arts to build excellence and innovation in teaching and learning programs. The Trust aims also to promote appreciation of the lifelong value and relevance of an education in History, and to nurture a passion for History in the broader community by raising the public visibility of History education. Professor Mark Edele, formerly of the University of Western Australia, has been appointed the inaugural Hansen Chair in History and joined the University of Melbourne in second semester 2017. Professor Edele is a distinguished historian of mid-twentieth century Europe, with a particular emphasis on Soviet social history, both before and after World War II. He is a prolific author, with major monographs, including: Stalinist Society, 1928-1953 (OUP, 2011); Soviet Veterans of the Second World War: A Popular Movement in an Authoritarian Society (OUP, 2008); and Stalin's Defectors (OUP, forthcoming). His articles and essays have appeared in highly-ranked international journals based in Germany, the United States, Korea, Japan, Russia, and Australia. His latest essay, entitled "Take (No) Prisoners: The Red Army and German POWs, 1941-1943", has just been published in The Journal of Modern History. He is currently completing a short history of the Soviet Union. Professor Edele is currently an ARC Future Fellow and will bring this fellowship to Melbourne while leading teaching innovation and development in the discipline of History. He trained as an historian at the Universities of Erlangen, Tübingen, Moscow and Chicago, and has a distinguished teaching record at the University of Western Australia in modern European history, especially in Soviet history and in subjects examining "The Age of the Dictators". 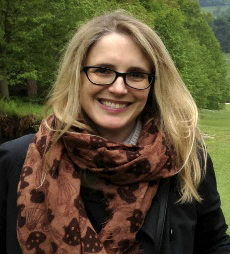 Dr Jenny Spinks joined the History department at the University of Melbourne in 2017 after four years at the University of Manchester, where she was Senior Lecturer in Early Modern History. She teaches and publishes on the history of early modern northern Europe, with a special focus on print culture, supernatural beliefs, disasters and wonders. She has co-curated exhibitions on the apocalypse and on magic, witches and devils in the early modern world from a global perspective. Jenny will be making a major contribution to the teaching of early modern and medieval history, and in 2017 will lead the subjects 'Medieval Plague, War and Heresy' and 'The Long History of Globalisation'. 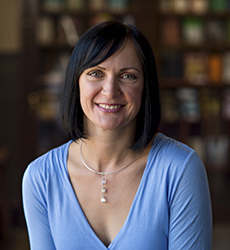 Dr Una McIlvenna joined the University of Melbourne in 2017 from the University of Kent, where she was until recently a Lecturer in Early Modern Literature. Una researches the early modern tradition of singing the news, using a comparative approach across multiple European languages. She is currently writing a book titled Singing the News of Death: Execution Ballads in Europe 1550-1900, which explores the use of song to inform the public about crime and punishment. Una is a specialist in court studies and is the author of Scandal and Reputation at the Court of Catherine de Medici (Routledge, 2016). About her appointment, Una says, 'I'm very excited to be joining such an impressive group of scholars at Melbourne, and so grateful that the Hansen Trust has made this possible'. Una's teaching will be in the area of early modern and renaissance studies, and in 2017 will also include a subject on the history of sexualities. 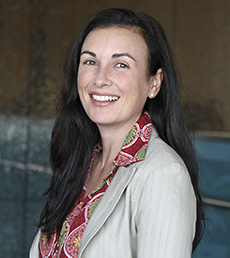 Dr Katherine Ellinghaus joined the History department at the University of Melbourne in 2017. 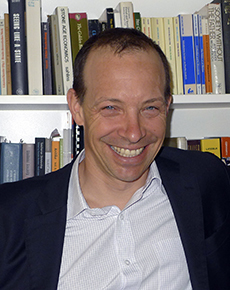 Dr Ellinghaus' research is in the history of colonialism, with a particular interest in the imperial histories of the United States and Australia. Her first book, Taking Assimilation to Heart (2006), explored cross-cultural marriages between white women and Indigenous men. Her second book, Blood Will Tell (2017), examines the discourse of blood during the assimilation period in the United States and how Native American people refused, negotiated and manipulated it. Her new project, started at Monash University as part of a Monash Fellowship, is a history of Aboriginal exemption policies and explores the ethical connotations of working in extraordinarily intimate government archives detailing the lives of Indigenous people. Katherine did her PhD at the University of Melbourne and is looking forward very much to teaching in the program that imbued her with her passion for history, focusing in particular on subjects that cover histories of empire and colonialism, as well as US and Australian history.